Bringing together three of the most prominent performers in classical music, the Tetzlaff-Tetzlaff-Vogt Trio will tour North America in 2019 for the first time in three years. 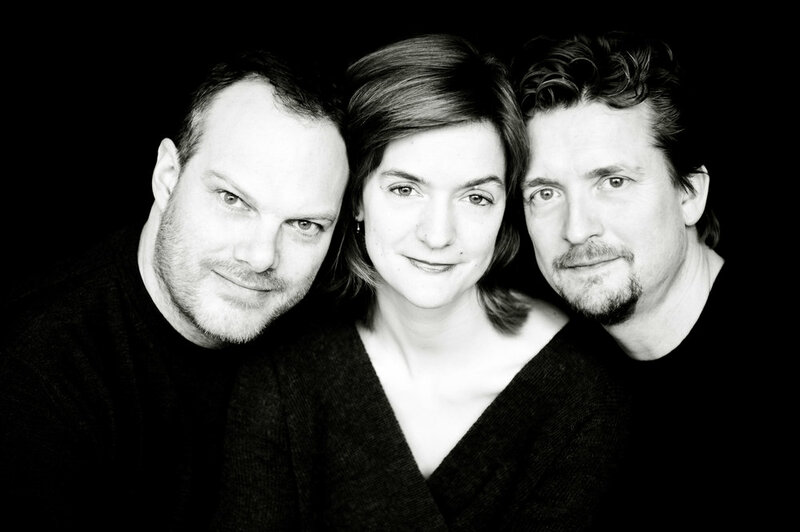 Their recording of the Brahms piano trios was recently nominated for a Grammy Award. An artist known for his musical integrity, technical assurance and intelligent, compelling interpretations, Christian Tetzlaff has been internationally recognized as one of the most sought after violinists and exciting musicians on the classical music scene for many years. From the outset of his career, Mr. Tetzlaff has performed and recorded a broad spectrum of the repertoire, ranging from Bach’s unaccompanied sonatas and partitas to 19th century masterworks by Mendelssohn, Beethoven and Brahms; and from 20th century concertos by Bartok, Berg and Shostakovich to world premieres of contemporary works. Also a dedicated chamber musician, he frequently collaborates with distinguished artists including Leif Ove Andsnes and Lars Vogt, and is the founder of the Tetzlaff Quartet, which he formed in 1994 with violinist Elisabeth Kufferath, violist Hanna Weinmeister and his sister, cellist Tanja Tetzlaff. Mr. Tetzlaff has been in demand as a soloist with most of the world’s leading orchestras and conductors, establishing close artistic partnerships that are renewed season after season. Mr. Tetzlaff has performed with the orchestras of Chicago, Cleveland, Boston, Philadelphia, New York, San Francisco, Los Angeles, St. Louis, Pittsburgh, Minnesota, Montreal and Toronto among many others in North America, as well as with the major European ensembles including the Berlin and Vienna Philharmonics, London Symphony and London Philharmonic, Leipzig Gewandhaus Orchestra, Rotterdam Philharmonic and the Royal Concertgebouw Orchestra in Amsterdam. He also appears at the world’s most prominent summer music festivals, including Verbier, Salzburg, Tanglewood and New York’s Mostly Mozart Festival. During the 16/17 season, Mr. Tetzlaff traveled to and performed on four continents. Highlights of his U.S. season included re-engagements with the Chicago and New World Symphonies, the Los Angeles Philharmonic and the Met Opera Orchestra at Carnegie Hall, and recital tours with pianist Lars Vogt and violinist Pam Frank. Internationally, he worked with orchestras in London, Frankfurt, Zurich, Amsterdam, Berlin and Sydney among others; appeared with the Tetzlaff Quartet and in trio performances with cellist Tanja Tetzlaff and pianist Lars Vogt in London, Amsterdam, Paris, Berlin, Hamburg and Leipzig; toured Germany with the Deutsche Kammerphilharmonie as both soloist and leader; and was the featured soloist on an Asian tour with the Scottish Chamber Orchestra. Tetzlaff’s highly regarded recordings reflect the breadth of his musical interests and include solo works, chamber music and concertos ranging from Haydn to Bartok. His recordings include the complete Bach Sonatas and Partitas for Solo Violin for the Musical Heritage and Haenssler labels; Szymanowski’s Violin Concerto No. 1 with the Vienna Philharmonic/Pierre Boulez for Deutsche Grammophon; the Schumann and Mendelssohn Violin Concertos with Frankfurt Radio Orchestra/Paavo Järvi for Edel Classics; Jorg Widmann’s Violin Concerto, written for Mr. Tetzlaff, with the Swedish Radio Symphony Orchestra/Daniel Harding for Ondine; and the Berg Lyric Suite and Mendelssohn Quartet Op. 13 with the Tetzlaff Quartet for the CAvi label. His most recent recordings, all on the Ondine label, are the Dvorak, Suk and two Shostakovich violin concertos with the Helsinki Philharmonic/John Storgaards; the Brahms Violin Sonatas with Lars Vogt and the Brahms Piano Trios with Tanja Tetzlaff and Lars Vogt, which was nominated for a 2016 Grammy Award; and quartets by Berg and Mendelssohn with the Tetzlaff Quartet, which was awarded a 2015 Diapason d’Or. Mr. Tetzlaff recorded the complete Bach Sonatas and Partitas for an incredible third time in October 2016. Mr. Tetzlaff began playing the violin and piano at age six, but pursued a regular academic education while continuing his musical studies. He did not begin intensive study of the violin until making his concert debut playing the Beethoven Violin Concerto at the age of 14, and attributes the establishment of his musical outlook to his teacher at the conservatory in Lübeck, Uwe-Martin Haiberg, for whom musical interpretation was the key to violin technique – not the other way around. Mr. Tetzlaff came to the United States during the 1985-86 academic year to work with Walter Levine at the University of Cincinnati College-Conservatory of Music and also spent two summers at the Marlboro Music Festival in Vermont. Christian Tetzlaff currently performs on a violin modeled after a Guarneri del Gesu made by the German violin maker, Peter Greiner. Tanja has played with leading orchestras such as the Tonhalle Orchestra Zurich, Bayerischer Rundfunk, Konzerthausorchester Berlin, Deutsche Kammerphilharmonie Bremen, Royal Flanders Philharmonic, Spanish National Orchestra, Orchestre Philharmonique de Radio France, Orchestre de Paris and Cincinnati Symphony Orchestra, and collaborated with conductors such as Lorin Maazel, Daniel Harding, Philippe Herreweghe, Sir Roger Norrington, Vladimir Ashkenazy, Dimtri Kitajenko, Paavo Järvi, Michael Gielen and Heinz Holliger. 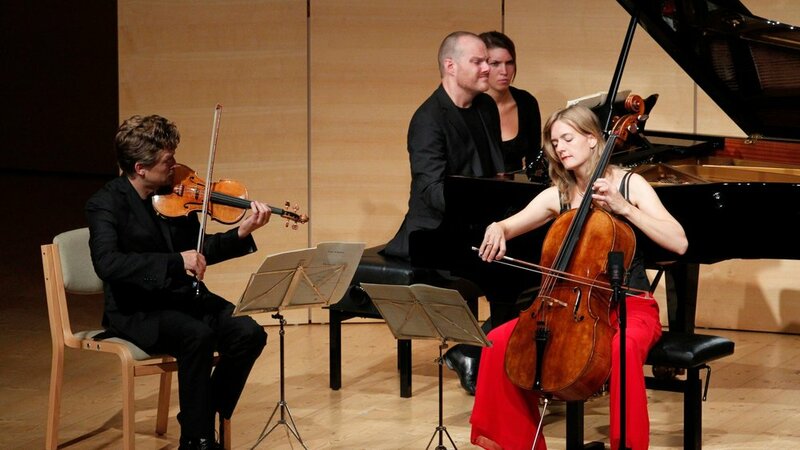 Chamber music also plays a significant part in Tanja’s career, with regular appearances alongside Lars Vogt, Leif Ove Andsnes, Alexander Lonquich, Antje Weithaas, Florian Donderer, Baiba and Lauma Skride, and her brother, Christian Tetzlaff, including at the festivals in Heidelberg, Heimbach, Bergen and Edinburgh. She and duo partner Gunilla Süssmann are also regular guests in concert series throughout Scandinavia and Germany, and recently recorded two albums released by CAvi-music, featuring the Brahms cello sonatas and works for cello and piano by Sibelius, Grieg and Rachmaninov. The 2016/17 season saw solo performances with the Philharmonia Orchestra London, the Iceland Symphony Orchestra, Royal Northern Sinfonia Orchestra, Scottish Chamber Orchestra, the Orchestre Nationale des Pays de la Loire, the Tokyo Metropolitain Orchestra and the NHK Orchestra Tokyo. Tanja studied with Bernhard Gmelin in Hamburg and Heinrich Schiff at the Mozarteum in Salzburg, and plays a cello by Giovanni Baptista Guadagnini from 1776. Lars Vogt has established himself as one of the leading musicians of his generation. Born in the German town of Düren in 1970, he first came to public attention when he won second prize at the 1990 Leeds International Piano Competition and has enjoyed a varied career for nearly twenty-five years. His versatility as an artist ranges from the core classical repertoire of Mozart, Beethoven, Schumann and Brahms to the romantics Grieg, Tchaikovsky and Rachmaninoff. Vogt is now increasingly working with orchestras both as conductor and conducting from the keyboard and his appointment as Music Director of the Royal Northern Sinfonia at the Sage, Gateshead in Newcastle, UK, in September 2015 reflects this new development in his career. During his prestigious career, Lars Vogt has performed with many of the great European orchestras including the Royal Concertgebouw Orchestra, Berlin Philharmonic, Vienna Philharmonic, London Philharmonic, London Symphony Orchestra, Dresden Staatskappelle and Orchestre de Paris. He has collaborated with some of the world’s most prestigious conductors including Sir Simon Rattle, Mariss Jansons, Claudio Abbado and Andris Nelsons. His special relationship with the Berlin Philharmonic has continued with regular collaborations following his appointment as their first ever “Pianist in Residence” in the 2003/2004 season. Recent performances in North American include appearances with the Cleveland Orchestra, New York and Los Angeles Philharmonics, the Chicago, Boston, Toronto, Pittsburgh, St. Louis, Cincinnati, National and Atlanta symphonies, Minnesota Orchestra and the National Arts Centre Orchestra in Ottawa; a recital at New York’s 92nd St. Y and an appearance at the Mostly Mozart Festival; and a trio tour with Christian and Tanja Tetzlaff with performances in San Francisco, Vancouver, New York, Boston and Toronto. Highlights of Lars Vogt’s 2016/17 season included performances with the NHK Symphony, Deutsches Symphonie-Orchester Berlin, Santa Cecilia Orchestra at La Scala in Milan, the Philharmonia and Royal Scottish National Orchestra, as well as a recital tour throughout Europe with Ian Bostridge. In North America, Mr. Vogt returned to the Philadelphia Orchestra, performed a solo recital on Lincoln Center’s Great Performers series, and appeared with Christian Tetzlaff playing duo recitals in New York and Houston and at Duke and Stanford Universities. A prolific recording artist, Lars Vogt now works closely with the Ondine label, most recently on a disc of Schubert works released in October 2016. Prior to that, his Bach Goldberg Variations with the label had unprecedented success in download charts as well as receiving widespread acclaim. Adding to his growing list of chamber recordings, recent releases on Ondine include Brahms, Mozart and Schumann sonatas with Christian Tetzlaff, and their GRAMMY nominated Brahms’ piano trios with Tanja Tetzlaff. In earlier years as an EMI recording artist, Lars Vogt made over ten discs with the label including the Hindemith Kammermusik No 2 with the Berlin Philharmonic/Claudio Abbado, plus the Schumann, Grieg and first two Beethoven Concertos with the City of Birmingham Symphony Orchestra/Sir Simon Rattle. He has also recorded for the CAvi (most recently a recording of Larcher, Schumann and Bartók works for children released in 2016), Ohems Classics (Mozart Concertos/Salzburg Mozarteum Orchestra) and Berlin Classics (solo Liszt and Schumann). August 2017 – Please do not edit without permission.